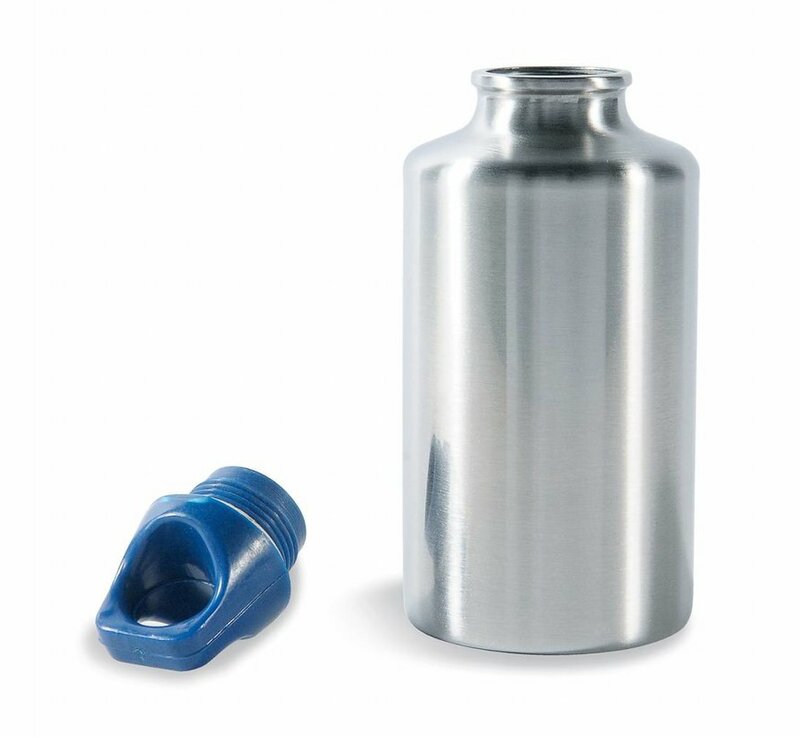 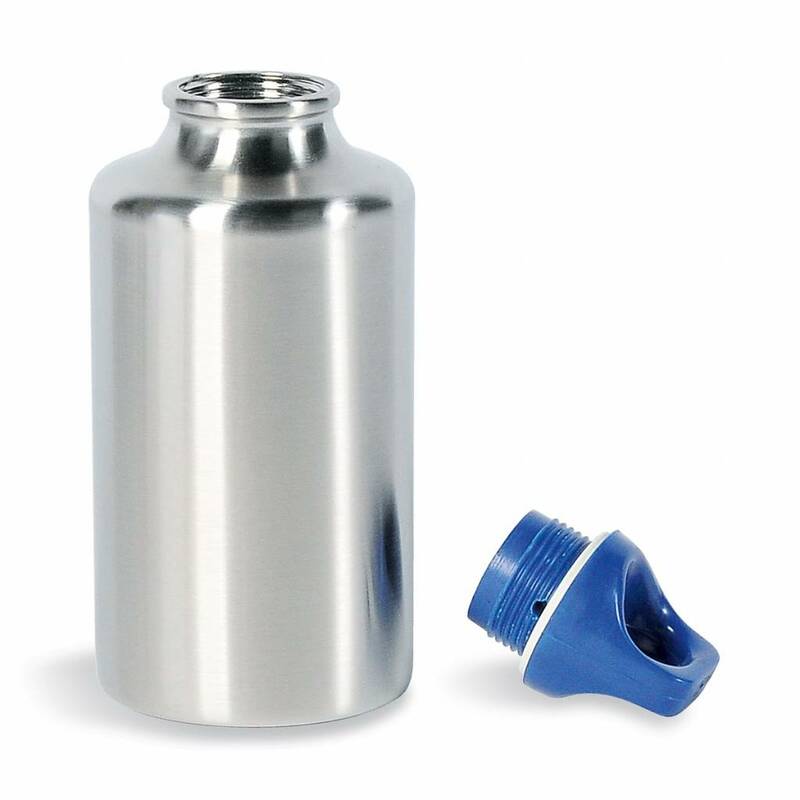 Stainless steel drinking flask with 0.3 liter capacity. 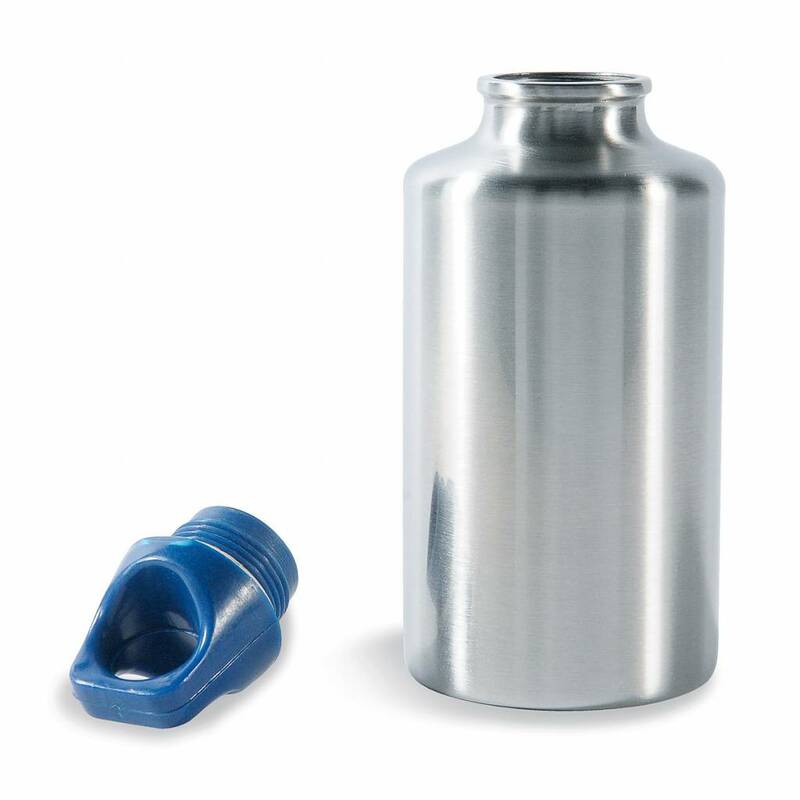 Absolutely food-safe and resistant against the acids in fruit. 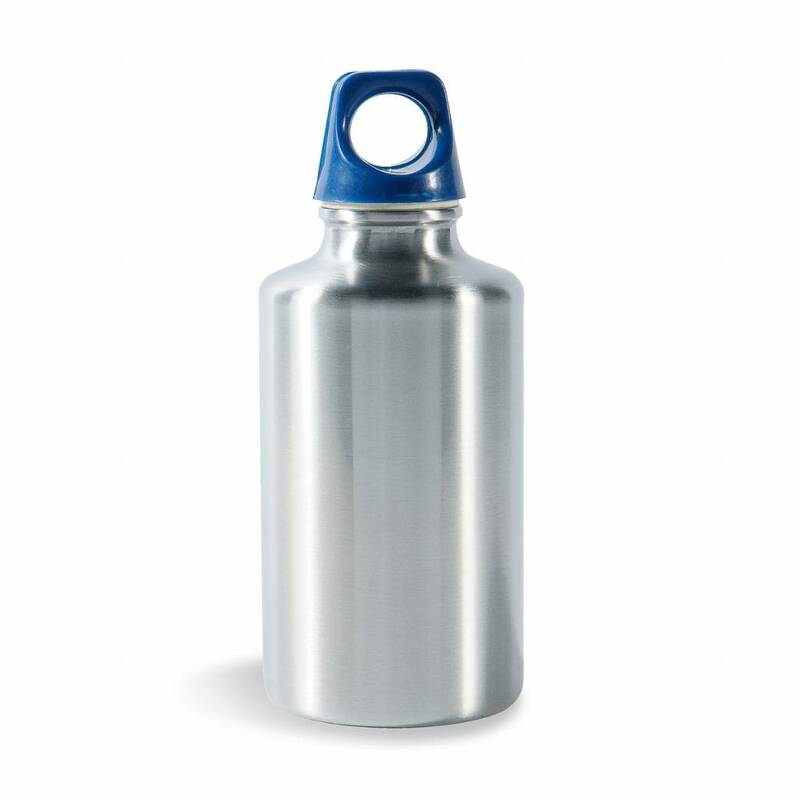 And if your rucksack doesn't have outer pockets, the Stainless Bottle can be practically attached with a carabiner.